Size: 8286 sq.ft. - 9868 sq.ft. Parkway Vistas is a grand residential development in the prime location of Dubai Hills Estate by Emaar Properties. Parkway Vistas is spread over 11 million square meters community, covering of 8000+ sq.ft. 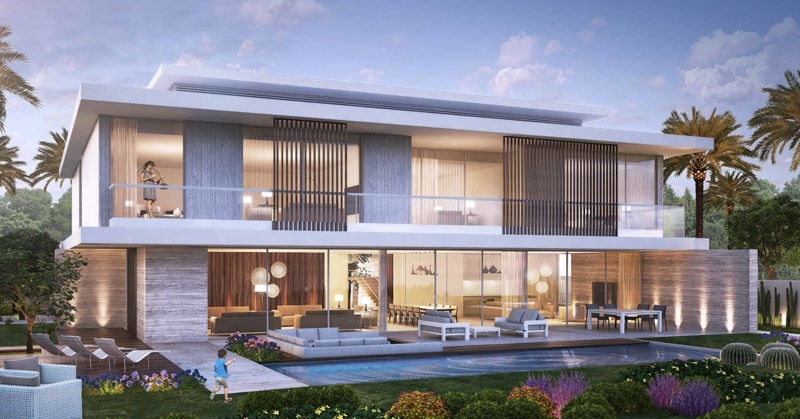 Dubai Hills Estate is a master plan that featureslandscaped parks/gardens, winding walkways and ample open areas facing 18-hole golf course and offer the perfect surroundings for family with an option of green corridors connecting the districts. 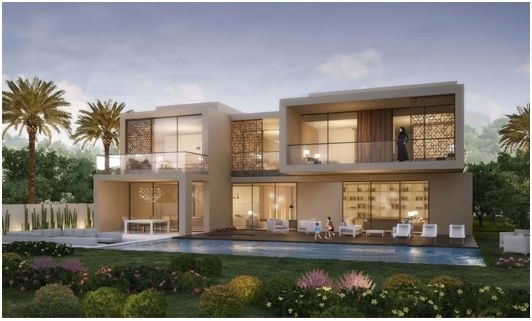 These villas offer the ideal investment opportunity for those who are looking to purchase a property off plan in Dubai. Parkway Vistas is planned to be completed in June 2019. 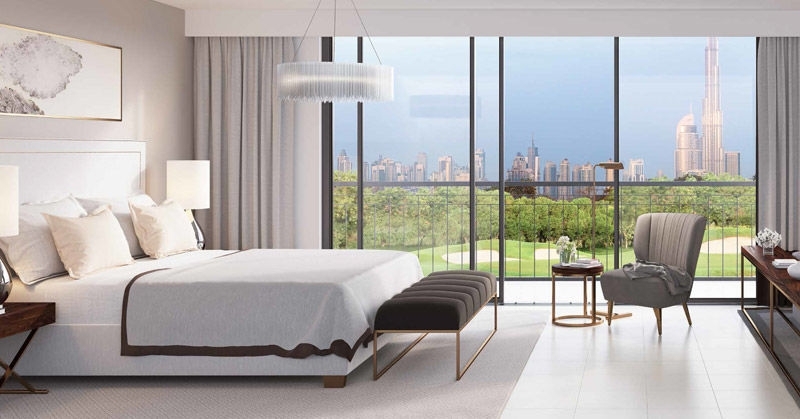 Emaar has inaugurated their new project of large villas- Emaar Parkway Vistas, comprising 60 luxurious villas of 6-7 bedrooms in the landscape of Dubai Hills Estate.All the rooms are en-suite with elegant bathrooms and stunning features with huge spaces. Each Park VistasVillas has option of private garage and with golf view. Parkway Vistas is designed with 8000+ sqft area offering unlimited space for a lavish living. 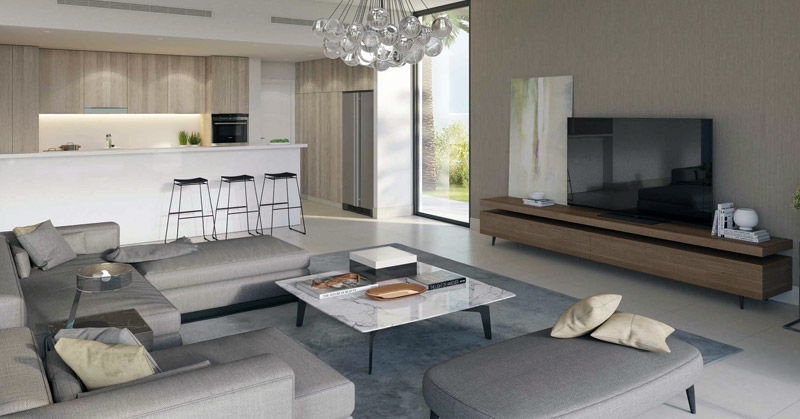 The project is featuring the perfect mix of classic and modern design for its villas. It has 4 types of villas with configurations as follows: -* Villa Type B1 - 7 BR with the Built up area of 9,212 Sq. Ft.* Villa Type B2 - 6 BR with the Built up area of 8,286 Sq. Ft.* Villa Type B3 - 7 BR with the Built up area of 9,212 Sq. Ft.* Villa Type B4 - 7 BR with the Built up area of 9,212 Sq. 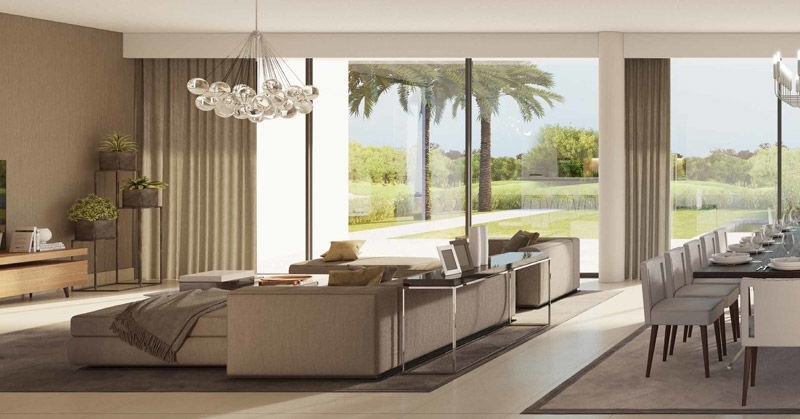 Ft.
Emaar properties is known as the pioneers of master plan communities in Dubai. It is a Public Stock company listed on Dubai financial Market, established in 1997. Emaar Properties is one of the world's most appreciated and an esteemed real estate development company. Emaar transformed the real estate sector. Emaar developed communities including Dubai Marina, Arabian Ranches, Dubai Hills Estate, Emirates Hill, The Meadows, The Lakes, Reem, The Views, Dubai Creek Harbour, The Opera District, Emirates Living, Legacy Park. Parkway Vistas having matchless villas at the wonderful new Dubai Hills Estate - a mixed-use development with a series of unique neighbourhoods. 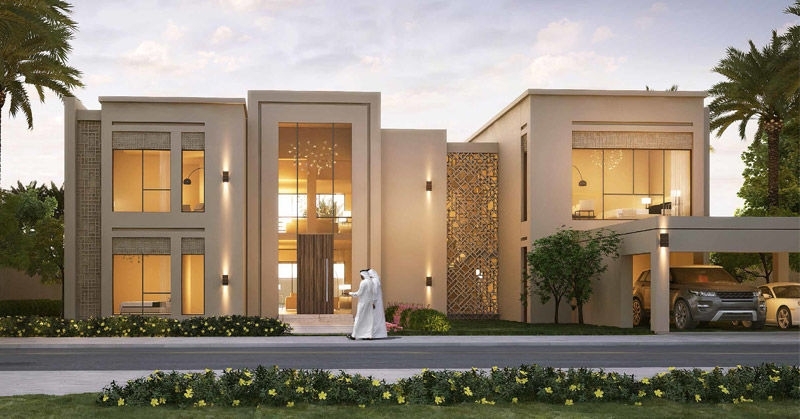 Dubai Hills community will offers access with major roads connecting Dubai Hills Estate to Downtown Dubai,the airport and the other Emirates.The project is landscaped with small hillocks, water bodies, lagoons, parks and many other serene benefits. Residents can take complete advantages of the serene location and beautiful climate of this place. Emaar Parkway Vistas are integrated with the brilliant connectivity through the road network, metro rail and the other major key places of Dubai are placed at 5 to 15 minutes’ drive distance from this project. Parkway Vistas is a residential project at Dubai Hills Estate, Mohammed Bin Rashid City, Dubai. Each villa is in proximity to extensive outdoor/indoor amenities such as agourmet restaurants, cafes, Balcony, Private garden, Covered parking, golf course, swimming pool, kids pool, green gardens, Built in wardrobes, Balcony,Balcony, BBQ area, Central air conditioning, Community View, Covered parking, Gymnasium and more. Schools: - Horizon International School, Little Wonders Nursery, The Emirates Academy Of Hospitality Management, Jumeirah English Speaking School Kangaroo Kids Nursery, Raffles International School. Restaurants: -Sheraton Dubai Mall of the Emirates Hotel, Sofitel Dubai Jumeirah Beach, Bussola, Dubai Marriott Harbour Hotel & Suites. Hospitals: -Saudi German Hospital Dubai, Awazen Medical Center - Dubai, Cooper Dermatology & Dentistry Clinic, Eternity Medicine Institute Dubai, UAE, Dubai London Specialty Hospital, Al Zahra Hospital Dubai.